Let’s talk hard forks: the most exciting area of cryptocurrency? In my last article I outlined the difference between and soft and hard fork. 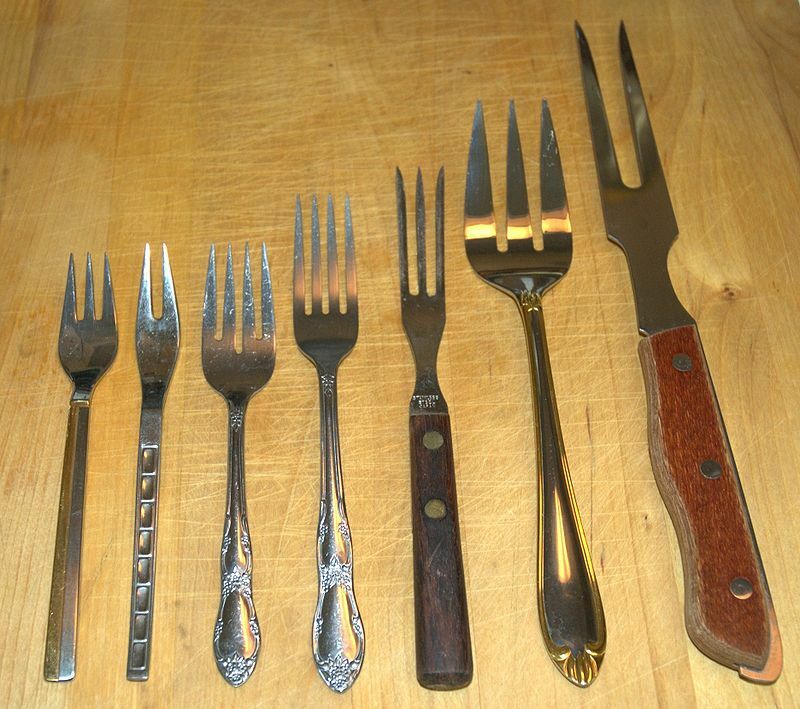 Now, I will switch my focus to the different types of hard fork. 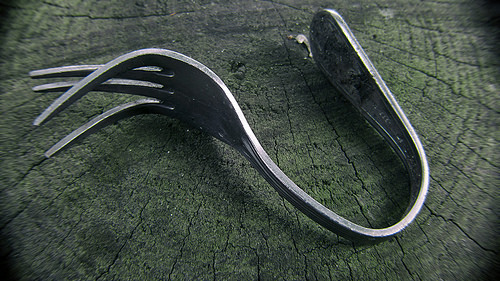 A hard fork is when a blockchain splits into two separate and incompatible versions. The reasons for this happening and the consequential fallout are varied. At the uncontentious end of the spectrum, you have essential hard forks. In its early days, a simple overflow bug in the then not properly audited Bitcoin code allowed somebody to create 184 billion Bitcoin out of nothing in a single block. The protocol allows a maximum of 21 million Bitcoin to ever be produced, and so this bug violated the protocol and rendered that version of the software useless. Bitcoin basically crashed. An update was essential to fix the problem, and a new version was released within hours. Fixing critical bugs is as uncontroversial as it gets – since crypto economics assumes every participant should rationally act in their own self interest there were no participants who would benefit from Bitcoin remaining broken and the forked blockchain quickly became the dominant one. Also uncontentious is an upgrade hard fork. Bitcoin hasn’t had one of these yet, but Ethereum has. These involve improvements to the protocol. In the case of Ethereum it was established from the beginning that the protocol would hard fork 3 times, gradually introducing new features. Those using Ethereum accept as part of its use they will need to upgrade their software in order to stay on the main blockchain, and since they are integral and promised improvements they are eagerly anticipated. The next type of hard fork gets a little more ambiguous. There is consensus in the Bitcoin community that the 1MB block size needs increasing through the use of a hard fork. Where the level of contentiousness exists is when and by how much this increase to the transaction capacity needs to be. There have already been a few failed attempts to hard fork to a bigger block size. Most recently Bitcoin Classic failed to gain enough support to introduce a 2MB block size hard fork, requiring but not obtaining support of 75% of miners be running the new software in order for it to be activated. Since even Bitcoin Core has an increase to 2MB blocks on its scaling roadmap for the future, it is very unlikely that if such a fork had been activated, the other 25% would have remained on the old blockchain stubbornly insisting that they didn’t want to upgrade ‘yet’, as they would simply be left behind as the wider community accepted consensus had been reached. If a fork to permit a 100GB block size increase had been successfully activated things would be different. There are many people who are strongly opposed to the increased centralisation, reduced protection from DoS/spam attacks and lack of fee incentive that larger blocks could bring. It is likely that no matter what a portion of the community would reject the fork and continue to participate on the original blockchain. Here, we have reached the crux of what a contentious hard fork is: ideological. Sometimes, consensus is simply impossible to achieve. If you passionately and ideologically believe something is right, you’d rather continue using and supporting the vision you believe in, even if you’re in a minority of <1%. The ‘worst’ type of contentious fork would involve a community truly split down the middle, 50/50, as neither chain could be said to have won, and you’d find yourself with a format war, two competing and widely used solutions waiting for a winner to emerge. Many view this as undesirable. There is no reason two sides of a hard fork cannot coexist peacefully, and both can be traded on exchanges with people free to use whichever fork they believe in. There are some complications though. In the event of a hard fork, anybody who owns coins at the time the hard fork occurs will own those coins on both blockchains. A hard fork will probably seen as a negative initially and so cause the value of the coins to be lower, though this will probably be priced in once it is apparent the hard fork will occur. Then, after the split, the value of each set of coins would reflect the mining and community support for each side of the fork. If you log into an exchange which has decided to support both sides of the fork, you will find you have two balances. If you’re with an exchange that has decided to support only one side of the fork, you’re possibly going to miss out and lose some coins that could hold, even if small, a future value. I wouldn’t be surprised if those exchanges left themselves open to legal action over the missing coins. It is a simplistic and highly speculative example, but let’s say a hypothetical $100 coin splits into two blockchains with a 75%/25% hashing power split, you may see the overall value drop 80% leaving the coins valued at $60 and $20 on each side of the fork respectively. While it will be immediately obvious how the miners have split their support between the chains, it is a lot more difficult to estimate community support. If you had a majority of miners in favour of fork A, and a majority of the community in favour of fork B, you’d likely see a quick swing in price with fork B overtaking A in value. There will likely be arbitrage opportunities for anybody who is able to identify the likely disparity between miner support and community support which is impossible to see until left to the market to decide at the exchanges. Cryptoeconomics anticipates that people will act in their own self interest. If someone genuinely believes in one side of the fork ideologically, it is likely they will ‘dump’ their coins on the losing side of the chain in order to lower its value and in theory increase the value and the likelihood of success on the chain they believe in. This is a gamble, they could dump all the coins they don’t believe in, and then find out the community valued that side of the fork more highly leaving them ultimately with a lot of highly devalued coins. It is also possible such a devaluation would be temporary, and if people persist to support the ‘losing’ side its value could recover. In the case of Ethereum, which is about to undergo the first ever contentious hard fork, there are people who strongly believe in both sides of the fork and would be prepared to gamble dumping the coins they oppose to negatively influence the price. Hard forks also create an unintended problem, replay attacks. If you have two almost identical protocols, the format of the transactions you submit to the network are identical. If you see a transaction on one side of the fork sending money from X to Y, anybody can view it and submit that same transaction to the other blockchain so that it occurs there too, even if the people initiating the transaction don’t want that to happen. There are ways to try and prevent this, but it adds a layer of complexity and is a barrier to peaceful coexistence. If you have a lower value coin you want to send to somebody, you could ‘lose’ your higher value coins in the event of a replay attack, so this factor likely favours the most popular (highest value) side of the fork, as people want to minimise the risk of losing their more valuable coins. Ultimately, the safest reaction and likely most common response to a contentious hard fork is to wait and see how it all plays out. If you had $100 coin, that split to $60 and $20, it may be that if you wait a week the coins are worth $79 and $1 – overall you’ve not lost anything. The sooner you move your coins, the bigger the risk you face, but also the bigger the potential reward. Many people will expect that on the smaller side of a fork there will be a huge dump of coins from people who only want to hold a balance on the ‘winning’ side of the chain. This could have a knock on effect on the viability of mining, with only those of the strongest ideological resolve mining at a loss in the hope of future returns. Let’s look at Ethereum’s imminent hard fork as an example, which will be fascinating to observe. The community is split following an attack where an individual was able to steal a large number of tokens from a smart contract called the DAO that huge swathes of the community had invested in. This was no fault of the protocol or Ethereum itself, but rather a badly coded contract. Ethereum has marketed itself as immutable and “contract is law”, so there is an ideological argument that a hard fork to return the stolen funds from a badly coded contract undermines the entire project, which is why a number of the community are so strongly opposed. Once the hard fork takes place, there are many people who oppose the hard fork and want to remain on the original chain who do so acknowledging there is a possibility the vast majority of the community will dump their coins causing its value to plummet. This seems in violation of the principle that people would always act in their self interest as they could see the value of their own coins diminish and mining become unprofitable. Rather than a bad thing, many of these people see the dump as a great time to buy these coins at a heavily discounted price, with the opinion that if something like the DAO hack has happened before, it will likely can happen again. They envisage a future where the community accepts sacrificing its immutability was a mistake and hard forking to solve problems is not viable, and that people will abandon the compromised chain and come back to realise the value of the original immutable, “contract is law” blockchain and the value of their holdings will increase finally allowing them to profit. It’s a long term hedge. A contentious hard fork outcome is so hard to predict, they’re quite a lot like an election. There are certain indicators, but until it happens there’s always the possibility of a surprise. In reality nobody knows what will happen, but they are not the end of the world, and they are rather exciting. Author John HardyPosted on 20 Jul 2016 Categories ForksTags hard fork1 Comment on Let’s talk hard forks: the most exciting area of cryptocurrency?